THE CLASSIC ROCK MUSIC REPORTER: Johnny Winter Dead at 70: ‘The Blues’ & ‘Rock and Roll’ Will Never Be The Same! Johnny Winter Dead at 70: ‘The Blues’ & ‘Rock and Roll’ Will Never Be The Same! Johnny Winter died early Wednesday morning in Zurich, Switzerland. The news was first reported by Bradenton, Florida resident Jenda Derringer, the wife of classic rock music legend Rick Derringer. Derringer has performed and recorded with both Johnny and Edgar Winter and remained very close friends through the years. "Texas blues icon Johnny Winter has passed away on July 16, 2014 in his hotel room in Zurich, Switzerland. His wife, family and bandmates are all saddened by the loss of their loved one and one of the world's finest guitarists. An official statement with more details shall be issued at the appropriate time." Since 1984, Johnny Winter focused solely on blues oriented-material in the recording studio. His heart was saying no to rock and roll while his soul was saying yes to the blues. Winter abandoned rock ‘n’ roll to resurrect the blues. Johnny Winter has headlined the New Orleans Jazz & Heritage Festival, Chicago Blues Festival, Warren Haynes Christmas Jam, Swedish Rock Fest and Europe’s Rockplast. Winter performed with The Allman Brothers Band at the Beacon Theater for their 40th Anniversary of the bands inception. He’s also performed at the 2007 and 2010 Crossroads Guitar Festivals. Johnny Winter earned the title of one the hardest working performers in the music business by consistently touring worldwide. His latest studio releases … the critically acclaimed Roots (2011) CD which featured compositions by some of Johnny’s favorite blues artists and included guest performances by … Vince Gill, Warren Haynes, John Popper, Derek Trucks and Susan Tedeschi, selected by Johnny’s producer/manager and guitarist Paul Nelson. 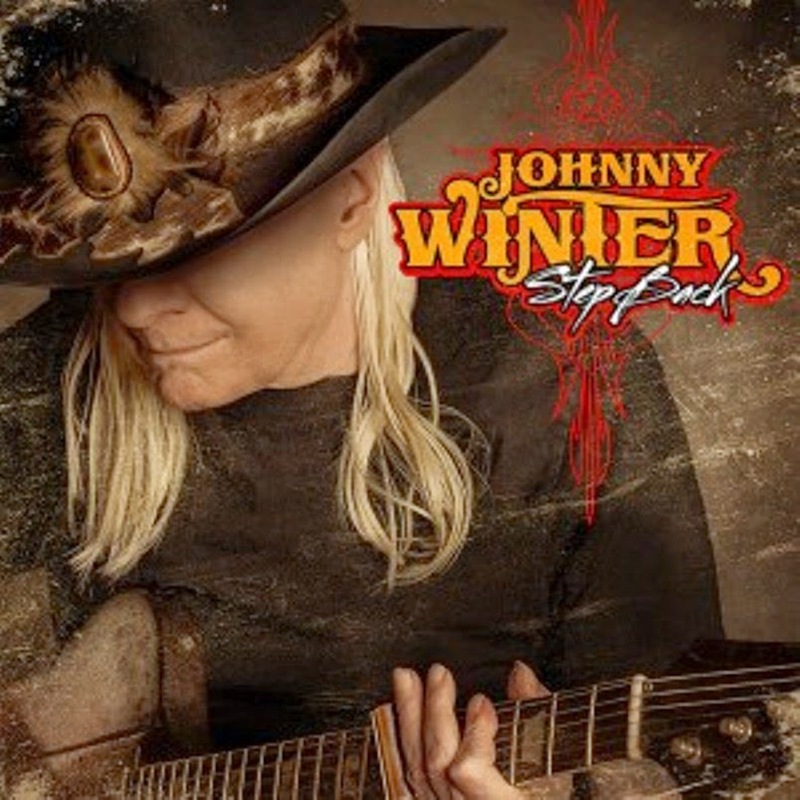 Johnny Winter’s most recent CD is entitled ‘Step Back’ and is a follow-up to the ‘Roots’ CD featuring guest artists … Eric Clapton, Billy Gibbons (ZZ Top), Ben Harper, Mark Knopfler, Joe Perry (Aerosmith), Dr. John, Brian Setzer, Joe Bonamassa, Leslie West (Mountain), and Jason Ricci. The release contains classic blues covers and is set to be released on September 2nd. 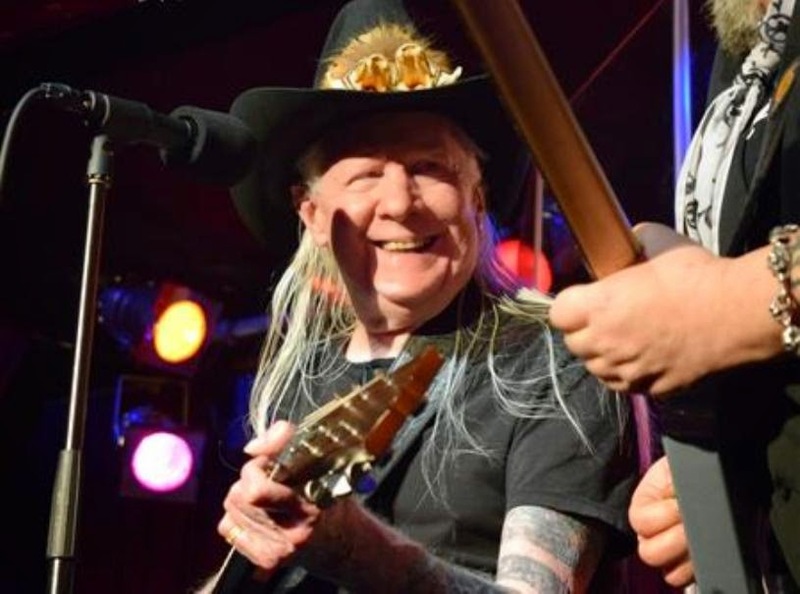 Winter is currently a headliner on the ‘Rock ‘N’ Blues Fest’ starring Johnny Winter, (Brother) Edgar Winter, Vanilla Fudge, Peter Rivera (original voice & drummer of Rare Earth) and Savoy Brown’s Kim Simmonds. The concert is scheduled to arrive at Ruth Eckerd Hall in Clearwater, Florida on August 16th. I chatted with Johnny’s Brother, Edgar Winter, on Tuesday (July 15th 2014) about the event. ‘The Blues’ & ‘Rock and Roll’ will never be the same!